The Pantone Colour Institute has announced the creation of a Pantone custom colour to represent and honour the international artist, musician and icon, Prince. Prince’s association with the colour purple was affirmed in 1984 with the release of the film Purple Rain, along with its Academy Award-winning soundtrack, so naturally, the new colour is a deep purple hue, which is represented by the artists “Love Symbol #2” and inspired by his custom-made Yamaha purple piano. The colour pays tribute to Prince’s indelible mark on music, art, fashion and culture. In addition to his Oscar and a Golden Globe for "Purple Rain", Prince won seven Grammy Awards and both “Purple Rain” and “1999” were entered into the Grammy Hall of Fame. Prince was inducted into the Rock and Roll Hall of Fame in 2004, the very first year he was eligible. 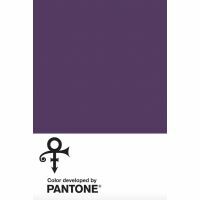 Laurie Pressman, Vice President of the Pantone Colour Institute said: "We are honoured to have worked on the development of Love Symbol #2, a distinctive new purple shade created in memory of Prince, 'the purple one.' A musical icon known for his artistic brilliance, Love Symbol #2 is emblematic of Prince’s distinctive style. Long associated with the purple family, Love Symbol #2 enables Prince’s unique purple shade to be consistently replicated and maintain the same iconic status as the man himself." The Prince Estate are now in conversation with various partners about collaboration on products that incorporate the Pantone custom colour.